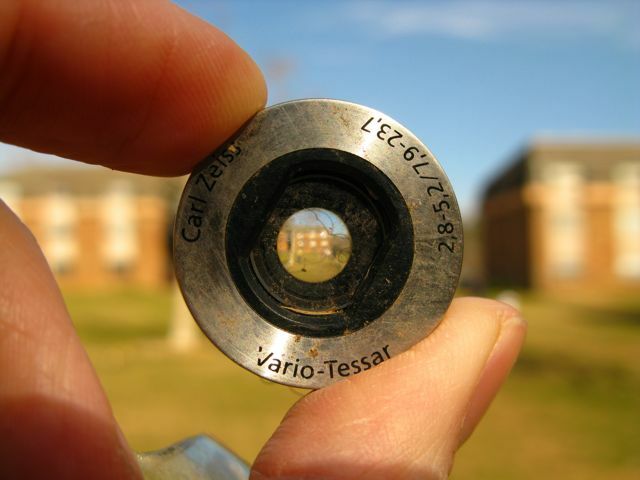 As 2012 begins, I'm looking forward to new opportunities and savoring some of the brighter spots of last year. Big news first: I'm excited to announce I have been selected as one of two 2012 Regional Emerging Artists in Residence for the winter/spring at Artspace in downtown Raleigh. I'll be as much of a fixture there as time allows from January to June. My studio will be on the second floor, adjacent to the other Artist-in-residence, Sarah West. This residency, truly, is an honor, and I hope I can do it justice. Many of the artists who have held this residency in the past are folks I respect a whole lot. I'm also involved in two shows happening now, one of which opens Friday at the beautiful new VAE space on W. Martin Street. Contemporary South should be a rad one — it was juried by Xandra Eden of the Weatherspoon in Greensboro, and the theme is near and dear. Meanwhile, a selection of work from the past three years is on view in a two-person show with Luke Miller Buchanan at the Betty Ray McCain Gallery in the Performing Arts Center in downtown Raleigh. If you're there to see the symphony or another performance, I hope you can check it out — it runs through February. A couple other recent things worth mentioning — Neill Prewitt and I collaborated with The Hot @ Nights at Flanders Gallery. Matt Hedt helped us document it, and the videos are pretty durn good. The Hot @ Nights are a fantastic band, and super dudes, and Flanders was really sweet to put this on. 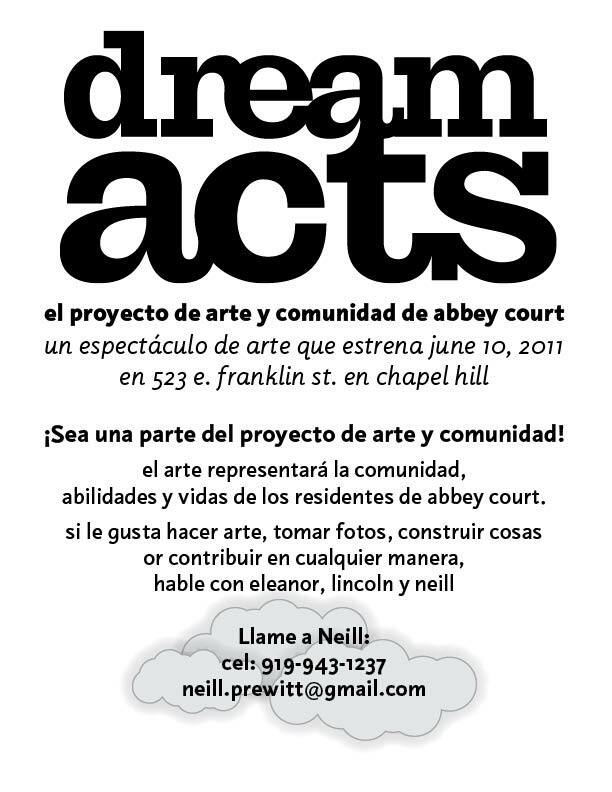 But a huge part of 2011 for me was the Dream Acts community art project I did with Neill Prewitt and Eleanor Blake. We've just finished a documentary video about the project, which was made possible by a grant from the Town of Chapel Hill. (We presented a rough cut of this doc at the Visualizing Human Rights conference in November.) Through course of the project we made friends, contributed to alliances, and, I think, brought a little light to an extremely vital community too often misrepresented and overlooked. It was a hugely rewarding project and I think this work will continue in various ways. In fact, Eleanor was asked to join the Board of the Human Rights Center, so she's now a part of the very group that was our crucial liasion to the Abbey Court community. That's it for now — happy new year! This September, I'm pleased to be showing new paintings and mixed-media work at the Morning Times Gallery in downtown Raleigh. Returning to studio this summer, I had to negotiate between my intuitive approach to my own work and the complex, other-oriented artmaking of that recently-completed collaborative project. As always seems to be the case, perceived conflicts fall away once I get my hands dirty. In some ways, these may be my most personal paintings. They collect and convey things I’ve kept, things I’ve found, things I’ve made — affinities, totems, my “life and contacts” (to conjure Pound). The contents of these pieces are symbolically and practically important to my ongoing attempts to understand myself. But these pieces are not just for me. In that space between life and art, I try to make things that speak for themselves. 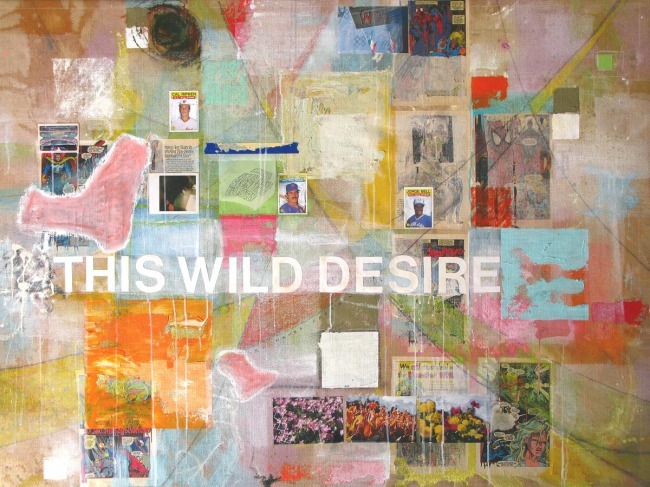 The title of the show is a riff on Pound, too — in “The Spring” he creates an image of cyclical rebirth, tempered with lingering bittersweet change. This is a fall show, yes, but for me it feels like newness emerges … as haunted as it may be by the spectre of what (and who) was. * In that project, called Dream Acts, I worked with two other artists in a community primarily composed of Hispanic immigrants and political refugees from Burma and Thailand. Making art in this community was less about my personal psychic negotiations and more about an outward-oriented process of building trust — ultimately, facilitating a different mode of speaking for a very dynamic, provisional community with sometimes limited access to the arts apparatus in the Triangle. I wrapped 2010 by showing work at the Exchange Gallery at VAE in Raleigh, and participating in a two-person show at LabourLove Gallery in Durham. Luke Miller Buchanan and I hung recent paintings and it looked pretty righteous. We called the show "Four Winds at the Four Winds Bar" because we realized we'd both recently been under the influence of Secret Treaties, Blue Öyster Cult's 1974 LP. It hadmade its way quite literally into Buchanan’s painting, “And Most of You Have Gone Away.” And my video piece (with Miles Holst) for Block2 — Radios Appear — took its title and conceptual mettle from “Dominance and Submission." So, "Four winds at the four winds bar" is a lyric in the last song on Secret Treaties. The song deals explicitly with the mystic intents and agendas that riddle the world as we see it. But the phrase, taken alone, we thought, conjured something like a transitory moment, a place through which meanings and messages pass like the breeze. It also evoked the idea of a respite — a familiar place that lures seekers. Luke and I take haven at the Four Winds Bar, and our recent work represented our distinct yet complementary impressions on what’s happening in the storm outside. This month I've got five paintings hanging at Dos Taquitos Centro. I've begun teaching Art Appreciation and Advanced Graphic Design at Peace College, a women's school in Downtown Raleigh. And, with my collaborators Neill Prewitt and Eleanor Blake, I've been awarded a grant by the Town of Chapel Hill to engage in a community-based art project. 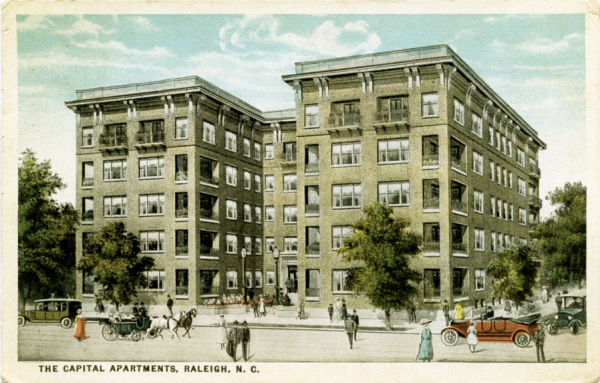 We're just beginning to commence in earnest, and will be working through the spring with the residents of the Abbey Court apartment complex in Carrboro, NC. The project will culminate in an onsite event and an exhibition in downtown Chapel Hill this spring. More to come on this. Stay tuned.